When you first happen upon Byrn Twrog/ Garizim, Llynfaes, Tynlon, Anglesey, LL65 you’d be forgiven for overlooking this run down Welsh chapel with it’s elongated name and location in the middle of nowhere… but look closer and you could be onto a winner. For behind that grey, tumbling facade is an auction offer which could rival any high street retailer: this is a case of buy one get TWO free! For a measly guide of just £60k you can buy a chapel, a chapel house AND a school room – which puts most retailers’ hallowed BOGOFFs to shame. Of course, what you can’t overlook is the huge amount of TLC required, the necessity for an *expansive* budget and a pair of heavy, rose-tinted “blinkers”. But, if you put all that to one side, what are you actually getting in this lot which is being sold by Morgan Evans on 30th August 2012? 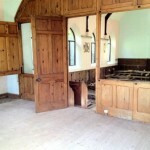 Firstly, you are buying a detached chapel ripe for conversion (subject to planning) with a floor area of 134 square metres – which is more than enough to swing the proverbial cat – plus it comes with the original pews which may come in handy for future dinner parties. 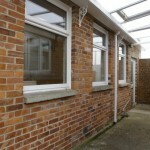 Secondly, you’re buying a good sized 3 bedroom detached chapel house with a dining kitchen, reception room, and a bathroom. 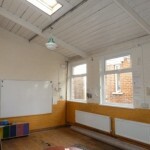 Thirdly, you’re buying a school room which affords you further development potential and has an area of some 63 square metres. It’s detailed as “unsafe for inspection” which most likely means you’ll effectively be doing a re-build rather than a cosmetic makeover. And if that isn’t enough for you – and you still have money and energy left over – there are also further outbuildings, stores and toilets which could do with a 21st century overhaul. 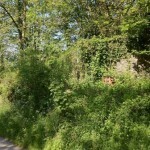 The good news is that mod cons have made it this far and the property is believed to be connected to mains water and electricity, although the new owner will be responsible for arranging a new septic tank drainage system to site. 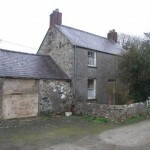 The “complex” is set within a pleasant rural hamlet surrounded by open farmland, with the market town of the Island at Llangefni situated approximately 5 miles away which offers a range of shopping and banking services. Given most building plots in the local area are for sale with an average starting price of £50k, this lot seems a steal at a guide price of just £60k. 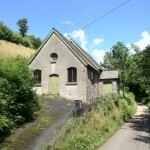 Devon doesn’t disappoint when it comes to this former Methodist Chapel with planning permission for residential conversion. 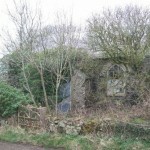 Guided at a temptingly low £40k, this cute chocolate box of a chapel already looks a steal for the price tag – but the lot comes with the surprising addition of 1.2 acres of land AND a derelict range of, what are believed to have been, former miners’ cottages, which are also included in the sale. 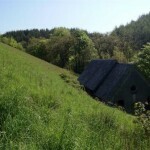 Perched prettily aside a sloping paddock in South Molton, this former chapel, constructed of stone elevations under a slate roof offers the new owner the opportunity to work with, what is known in the trade, as a “blank canvas opportunity” which is also known as a shed load of money and hard work. 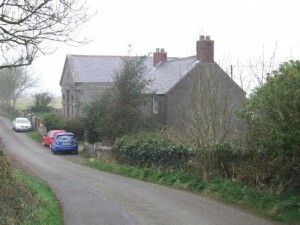 But at least some of the planning bureaucracy has already been dealt with given planning permission was granted to convert the chapel to a two bedroomed dwelling in 2011 – although it does come with a local occupancy condition – which means this property is only available to those who already live or work in the area, which is usually for a period of 3 years. If you are local, then you’ll already know the stunning location in which this chapel sits – which for those of you “not-from-these-parts” is on the on the south western edge of Exmoor National Park which offers a glorious landscape and renowned opportunities for recreational activities. 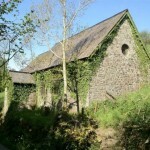 While strangers may not be welcome – this chapel going to auction with Stags on 13th September 2012 would be a welcome addition to the Devon housing market – and offers a local buyer, the fabulous opportunity to purchase a chapel in a stunning location at a very affordable price. But if the thought of all this fresh air and countryside living is making you dizzy, how about this more urban chapel going for auction? 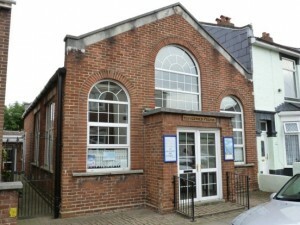 Brookfield Chapel offers a rather different spin on the usual notion of an “end of terrace” – but in actual fact, that’s what this chapel located in Fratton, Portsmouth really is. 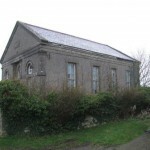 The chapel, which dates originally from the early part of the last century, is attached to a terrace of private houses. 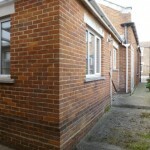 The chapel is of brick construction under a pitched, corrugated roof and offers, unusually for a chapel; gas central heating and UPVC double glazing. The modern and functional interior belies the quintessential chapel features most buyers fawn after – but anybody with an appreciation of the wallet-busting potential of chapel conversions will appreciate the modern day luxuries of a flushing toilet and wired light switch. The urban setting of this chapel (think shopping centres, train stations, hospitals, university campuses and more restaurants and bars than you can shake a crucifix at) does nothing to detract from the huge potential this building has to offer. 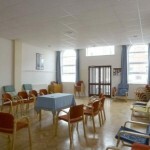 With over 1000 sq ft of internal space in the main chapel – plus an additional rear hall situated behind and a covered court yard – Brookfield Chapel offers the potential for a fabulous inner city conversion. 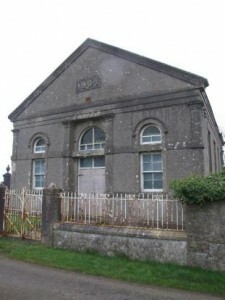 While the premises currently have D1 planning status – which allows for the use of the building, among others as, a crèche/ day nursery, library or provider of educational or health services – the location of this chapel amongst a predominantly residential neighbourhood could mean residential conversion may be an option. With a guide price of £100k Brookfield chapel looks cheap when you consider typical two bed terraces in the area have a starting price of £110k. Going to auction with Nesbits on 20th September 2012 leaves you plenty of time to convince the planners of your dwelling-house dreams! Reading posts like this, I always ask myself, what do I do in London? These photos look like another planet! 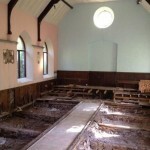 Did you search for chapels specifically, or did you come across them accidentally? I wonder is there an online search for “all auctions”. 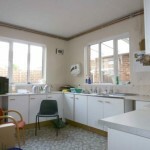 Hi Julie, yes when you start looking outside London there are a great variety of projects on offer! I wasn’t looking specifically for chapels – these caught my eye because they all had something that “little bit extra” to them.